- with consumer hdds, raid5 nas are totally overrated and *in the real world* rarely protect data better than jbod. I've had good luck with RAID5 on small scale arrays. 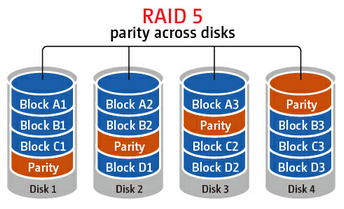 The main reason to go to RAID6 is due to the chance of a disk failing during the rebuild process. Consumer NAS typically are not under that much load so the rebuild times are short. In an enterprise environment where disk counts are higher in an array as well as the load on the array, using RAID6 makes sense. If you know what sector is bad in RAID5, you can still recover the data.